For a movie that just received the two top awards at a Christian film festival, you wouldn’t expect that Like Arrows was originally intended as a small-group parenting study. 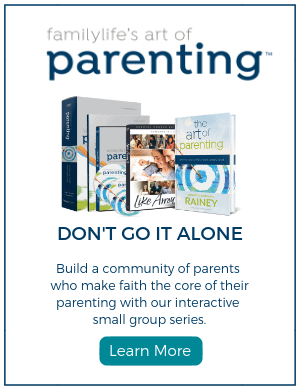 When director Kevin Peeples was approached about writing and directing a story on parenting, it was pitched as a video element for the upcoming video curriculum, FamilyLife’s Art of Parenting™ . There was only an outside chance that it could become something more. The final product, though, has exceeded expectations. Like Arrows, which premiered in theaters in May 2018, received Best Film and Audience Choice honors at the Christian Worldview Film Festival in Nashville, Tennessee. It’s FamilyLife’s first feature-length film. Peeples says he was first approached by Alex Kendrick (War Room, Courageous, Facing the Giants) about the project. 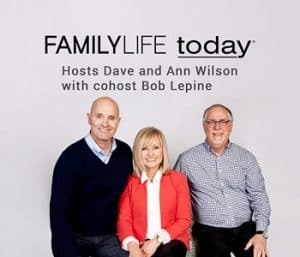 “I was told that FamilyLife wanted a feature-film story arc that would bridge across six 10-minute segments—that when the video curriculum was completed the viewer would have seen an entire feature film, or a single continuous story,” he says. “Each episode, or chapter, would be a different period of time in the parents’ 50-year journey. Peeples signed on to the project because he liked its message on parenting. Before Like Arrows, he directed a couple of documentary films, a successful Christian apologetics YouTube series, and countless commercials. 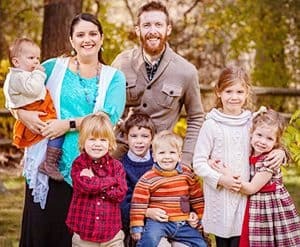 Kevin and his wife, Dinika, head up Pro-Family Films, which creates original films that uphold a gospel-centered worldview of marriage, children and family. Kevin and Dinika Peeples with their children. Kevin and Dinika don’t just know about filmmaking. With six children and another on the way, they know a lot about the blessings and challenges of parenting. And that shows through Kevin’s role as co-writer. Apparently Like Arrows is making an impact. “I’ve been approached by fathers who say the film has encouraged them to keep praying for their prodigal children, and most people say there’s at least one scene that’s straight out of their own memory books. I think what’s come out of it is the message that it’s not too late. There’s still time. God is the redeemer of lost time and so faithful to His promises. 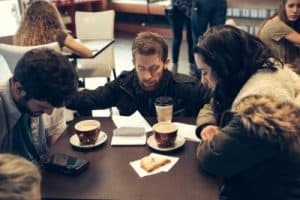 Family—and faith in God—shows through strongly in the film, not just because of the script and directing, but also because of the real-life, behind-the-scenes happenings throughout the course of the filming. God’s ways are not always man’s ways. In recent years, many films have been released, accompanied by a host of marketing resources to promote the franchise. Like Arrows flips that on its head. Peeples points out that the film is more of a “Session 0” for the video curriculum series, FamilyLife’s Art of Parenting.